Although macramé has become quite a common craft there are still many terms and abbreviations used in some patterns that people may not be aware of or that they may not know the meaning of. 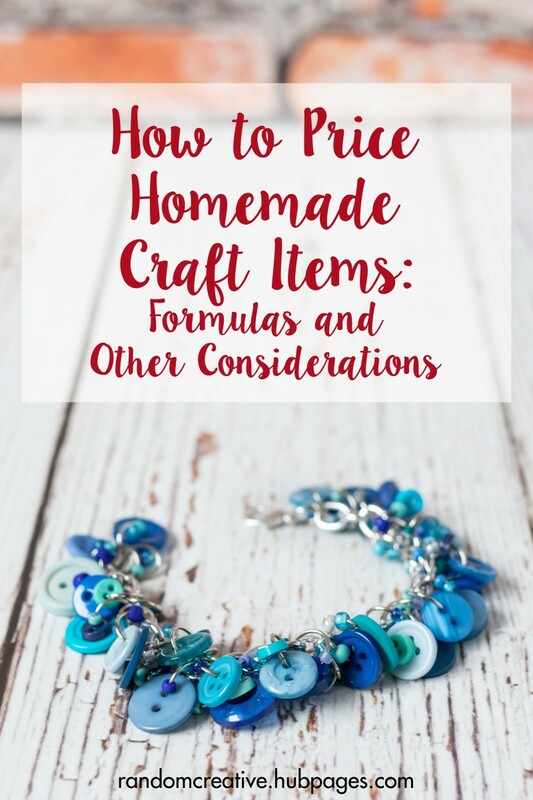 In this Hub I have brought together a collection of these that can be used to help understand these terms and make reading macramé patterns easier. Adjacent – Next to each other. Alternating – Tying a knot with one cord and then switching to tie the same knot with another cord. ASK – Alternating square knots. This abbreviation is often used in macramé patterns due to the common useage of square knots. Band – A length of macramé that is wide and flat. Bar – A series of knots that form a raised area in the design. 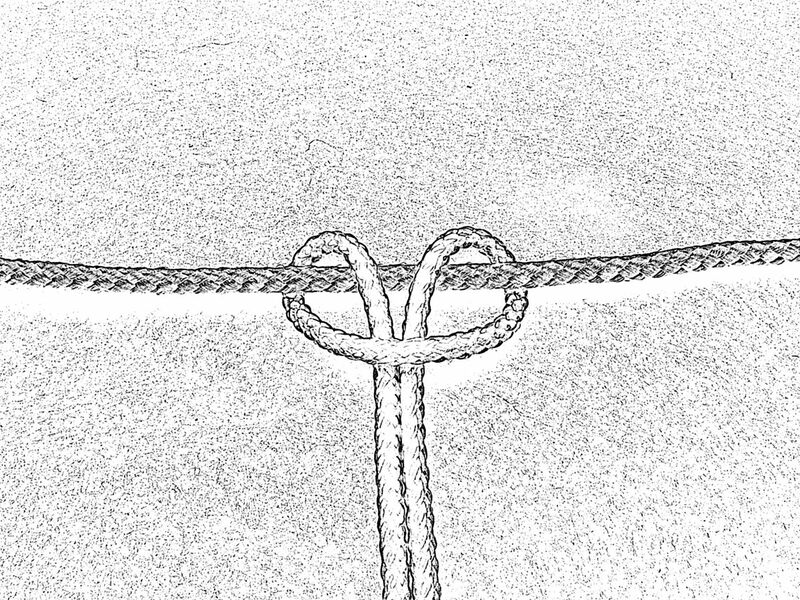 Half hitch knots are often used to create bars and they can run horizontally, vertically or diagonally across a piece of macramé work. Bight – A narrow folded section of cord which is pushed through other parts of the knot. Body – The main section of the project you are working on. Braid – Braids are also sometimes known as plaits and are created by crossing three or four cords so that they weave around each other. Braided cord – A type of cord made up of several thinner pieces of cord that have been woven together. Braided cords tend to be sturdier than twisted cords. Bundles – A group of cords that have been gathered together. Button knot – A round, tight decorative knot. BH – Button hole. Vertical larks head knots are used to create a loop that can be used as a fastener or to join pieces. Chinese Macramé – Knotted designs that originated in China and other Asian countries. Crown knot – A decorative knot used in macramé that is also sometimes known as the Shamrock knot or Chinese flower due to the fact that it resembles a flower when finished. 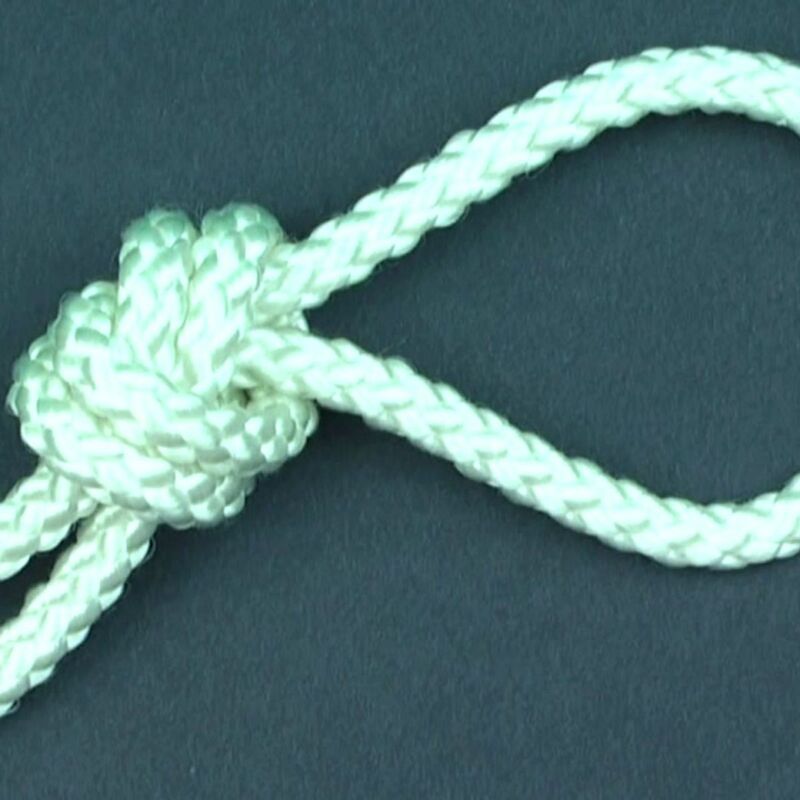 Combination knot – Using two or more knots that are used together to form a new type of knot or a design element. Cord – Cords are any fibre material used to create macramé projects. Core – The cord/s that run through the centre of a project and are knotted around. They are also sometimes called fillers or central cords. Crook – The curved section of a loop of cord. Diagonal – A cord or row of knots that run from the upper left to the lower right (or vice versa) Diagonal lengths of knots such as half hitch knots are often used in macramé designs. Diameter – The width of a cord usually given in millimetres. DDH – Double half hitch. 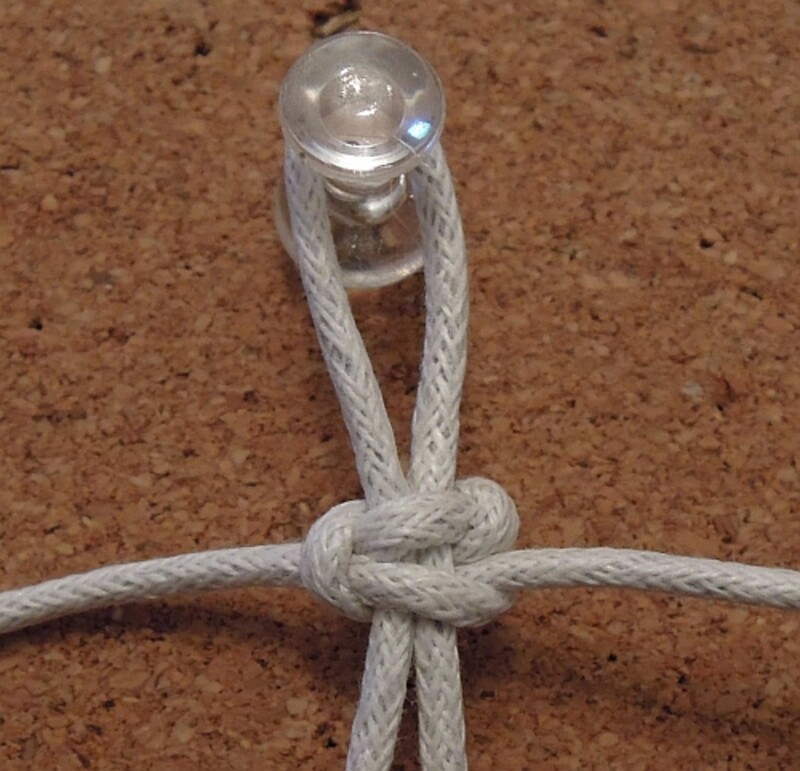 This macramé term means to tie two half hitch knots next to each other. Fillers – Cords that stay in the centre of a design and are knotted around. Also known as core cords. 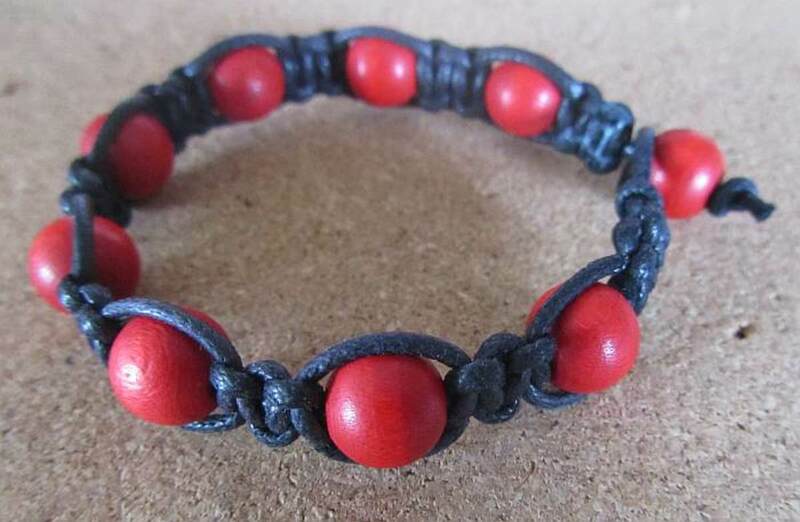 Findings – Items and fastenings other than cords that can be used in macramé designs to create closures, attachments and other functional elements or decorations. Examples include earwires and clasps. 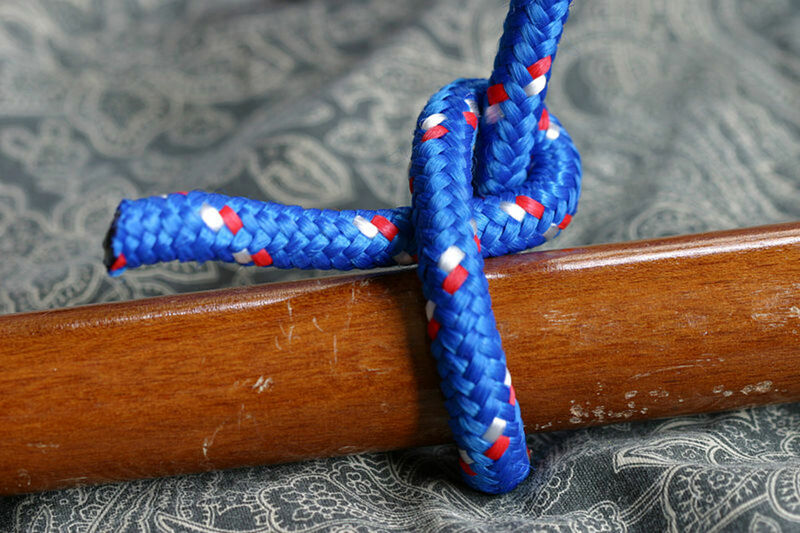 Finishing knot – A knot that is tied to secure cord ends and prevent them unravelling. Fringe – Lengths of cord ends that are not knotted but left hanging. 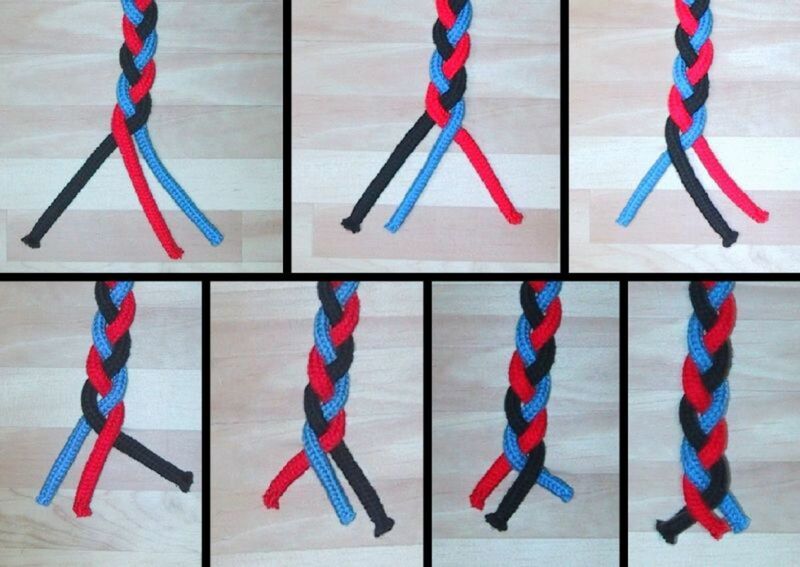 Fusion knots – Another term for combination knots. Gusset – A term used to design the sides of a 3D project such as a bag. Hitch – A knot that is often used to attach cords to other items. Horizontal design – This means that the design is created from one side to the other. Interlace – A pattern in which cords are intertwined and woven together in order to link different areas. Knotting cord – The cord that is used to tie the knots in a design. LH – Larks head knot. Loop – The circular or oval shape that is created when two parts of a cord are crossed. Micro-Macramé – Macramé projects that are made using delicate or small diameter materials. Micro-macramé is often defined as any macramé using cords thinner than 2mm in diameter. Mount – An item such as a ring, frame or handle that is used as part of a macramé project. 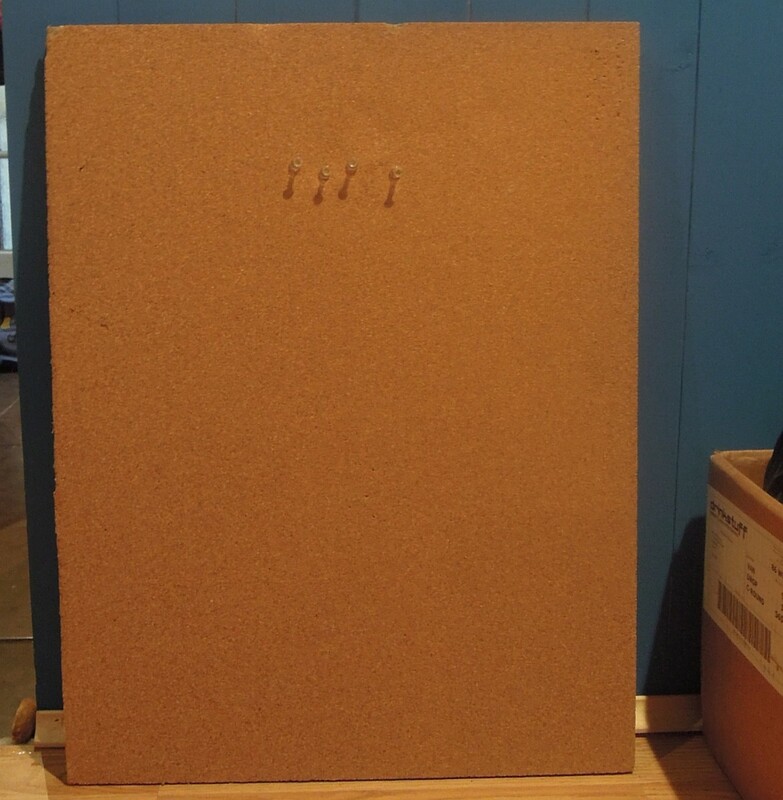 For example: cords maybe mounted on to wooden handles at the start of a macramé bag project. Natural – This term is usually used to refer to cords and means any material that has been made from plants, wood and other natural substances such as hemp and cotton. Netting – A pattern of knots that has open unknotted spaces in between. Netting is often used to create items such as bags and plant hangers. 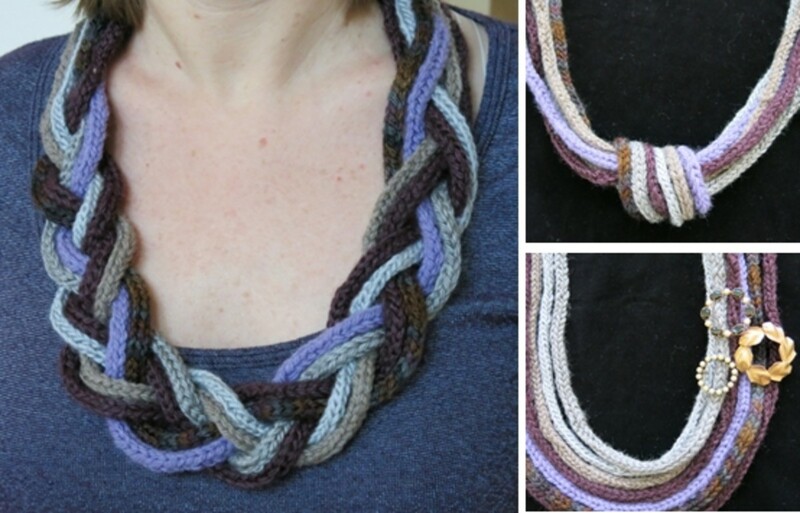 Picot – Loops that stand out at the sides of a design. These are more often seen in early patterns. Plait – Cords are plaited by crossing three or more in an alternating pattern. Also known as a braid. Scallops – Loops of knots created along the edges of a macramé design. Segment – Specific areas of a knot, cord or design. 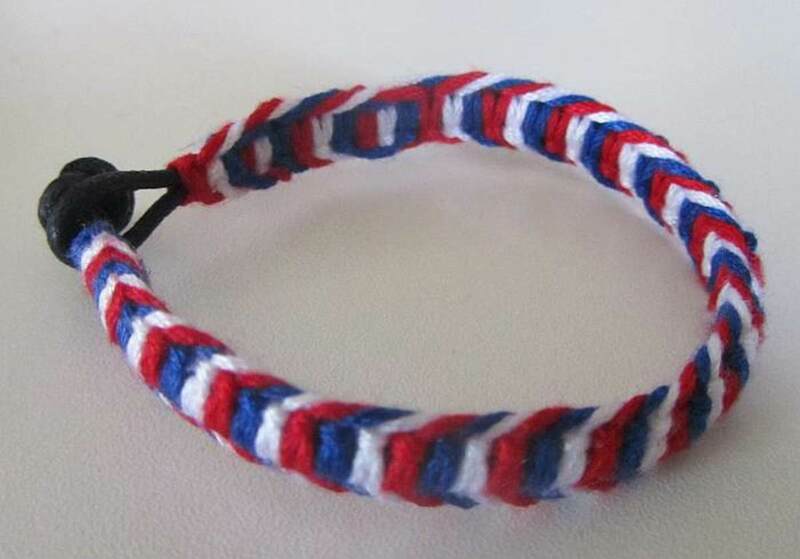 Sennit – Also known as a sinnet, this term refers to a chain of identical knots made one after the other. 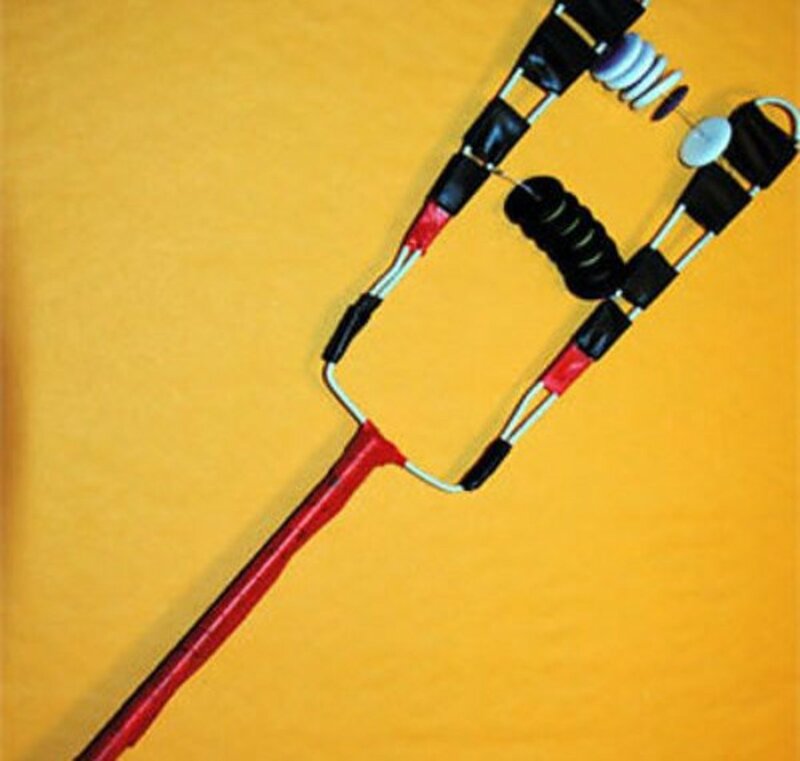 Standing end – The end of the cord that is secured to a macramé board or other surface and is not used in constructing knots. 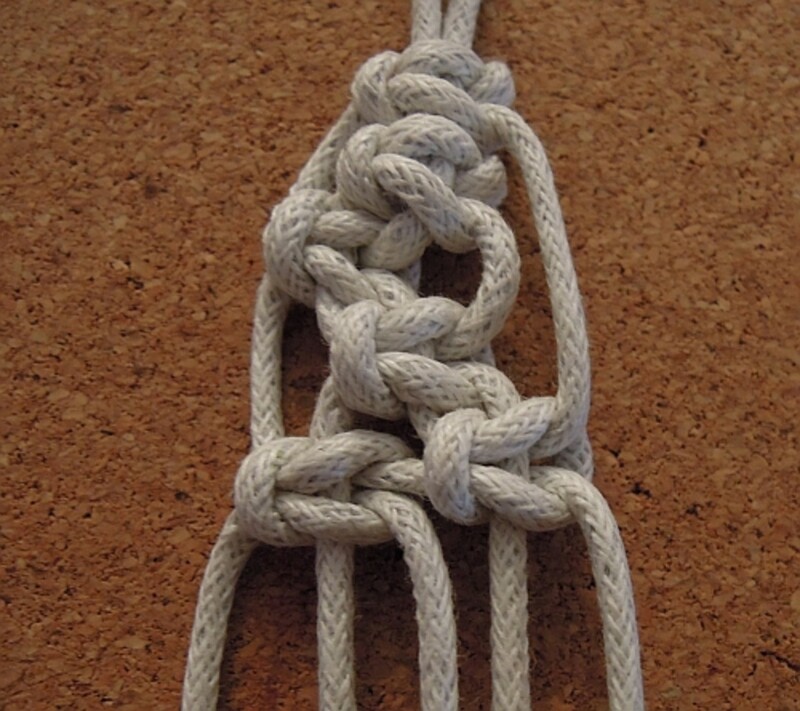 SK – Square knot – A very common knot that is created by tying two cords over one or more cord cords. Stitch – Stitch is sometimes used in early patterns in place of knot. Synthetic – Man-made fibres such as polypropylene and nylon. Vertical – Running from top to bottom/bottom to top. Vintage – A pattern, knot or technique that was popular in the early 1900s or earlier. Some vintage knots and styles are still used unchanged in macramé today whereas others have evolved or fallen out of use. Weave – Weaving cords means to place them so that they pass under or over each other. Working cord – Another term for knotting cord. The cord that you are currently working with. You're welcome. I write a lot of macramé jewellery making tutorials and thought this would be useful to others who enjoy the craft. 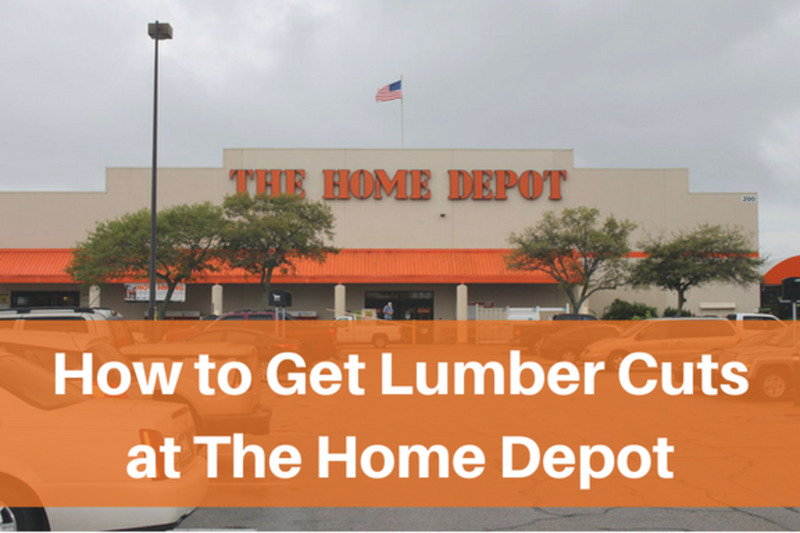 This is very useful and informative hub! 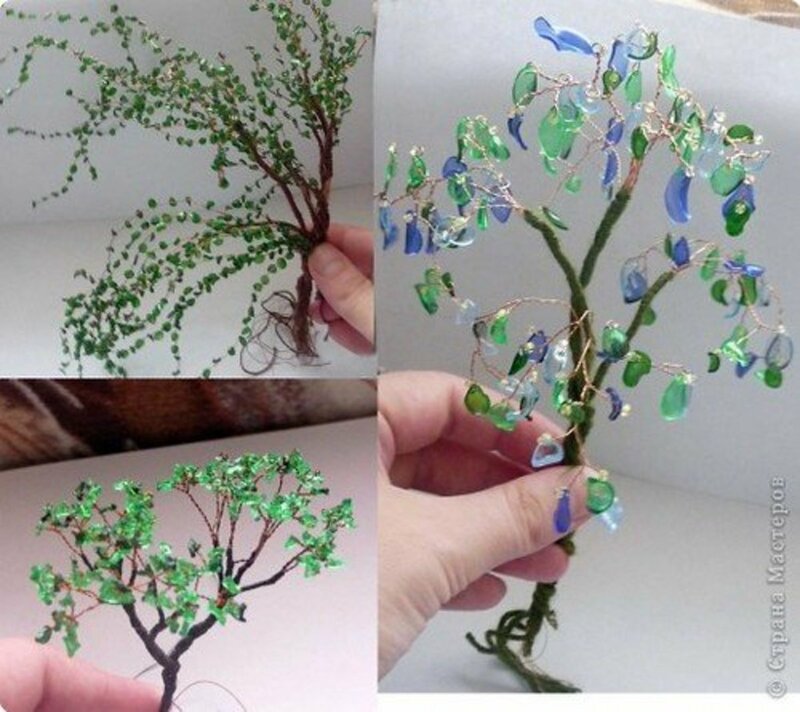 One can follow the abbreviations to do the craft of Macrame. Thanks for sharing the details!